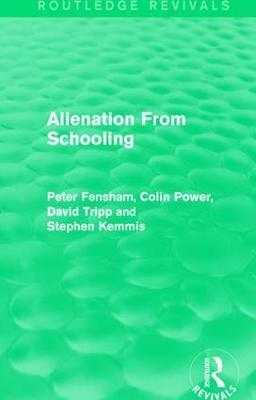 Originally published in 1986, this book presents three full case studies of secondary school communities in Australia: one city school in a working-class area, one community school serving a wide, more rural area, and a school with an academic tradition in the suburbs of a large city. The material is drawn together to discuss and describe the issues revealed by the studies: these include discipline, boredom, staff-student relations, and the relevance of school work to the outside world. The book includes interviews with both students and teachers, recording the reactions of students to the way they are being taught, and their views on whether it is worth working hard at school when there is no certainly of a job at the end of it. The philosophy of the teachers emerges in the interviews, as do their views on the prospect of changing students' attitudes from those acquired at home, and on the need for vocational rather than academic courses. What also comes out in the interviews is their realistic attitudes to their students' future job prospects, and their views on alternative courses which could prepare the pupils for life rather than for a specific job. The book also includes an account of how the case studies were undertaken and reported. The methodological chapters set out some of the dilemmas and the possibilities in the study of such complex human situations.